The launch of The Black Armory, Destiny 2’s new DLC expansion, should have marked an exciting event for players. Instead, it proved to be a major source of frustration, and in response, Bungie has quickly made a small change to make it more accessible to everyone. As part of the Annual Pass, The Black Armory will introduce a variety of content over the coming weeks and months, including a new Raid this Friday. The first major piece of content came with Tuesday’s update in the form of the first Lost Forge, a sort of Horde mode-style activity for three players. While it does address some complaints about other activities by offering matchmaking (ensuring you don’t need to bring your own full group to participate), it did have another big problem: The Power level requirements were way too high. A recent Destiny 2 update raised the game’s maximum Power level from 600 to 650 for all players. Those with the DLC who can take part in the new Forge activity found that due to steep requirements, they were unable to reasonably play the new mode. Instead, they were forced to grind through existing content to raise their Power level instead of playing what’s new–not exactly the experience anyone was hoping for on launch day. Bungie is aware of the complaints and has taken a first step toward addressing them. “Over the past day, we’ve been taking in your feedback,” Bungie wrote on its website. “It’s become clear that we made the initial Power requirements for the Lost Forges too high, keeping those sweet new rewards out of reach. Some players at 600 Power have been unable to dive in and beat the final boss without grinding for new Power first. 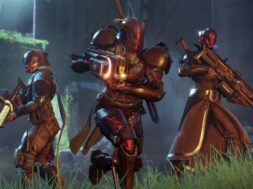 Bungie also said it plans to further address questions of how players who are further behind can best boost their Power level and catch up to participate in the new content. “The answers to those questions are coming. We have some existing plans and some new ideas in the pipeline,” it said, promising further information in its weekly blog post update on Thursday.